After which, we went to the G/L Lizardo bus terminal where there was a long line of people going to Bontoc and Sagada. Luckily, we got the last two seats for the 11:00 AM bus. After crossing mountains after mountains and seeing little towns after little towns, we arrived in Bontoc at 5:00 PM. 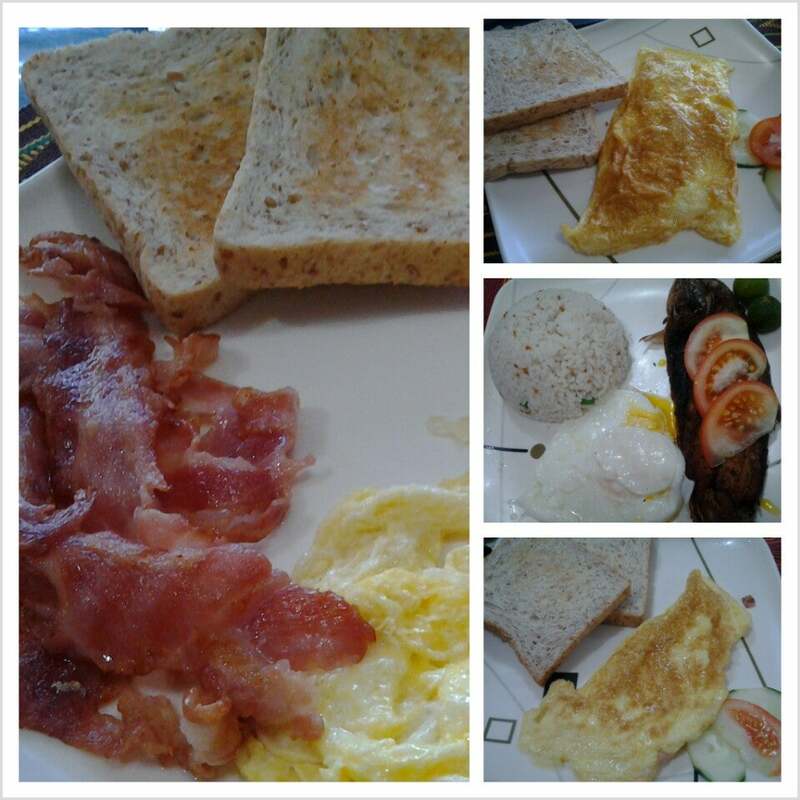 We checked-in at Archog's Hotel and Restaurant as recommended by our friends from DepEd. We had dinner in Archog which was good. 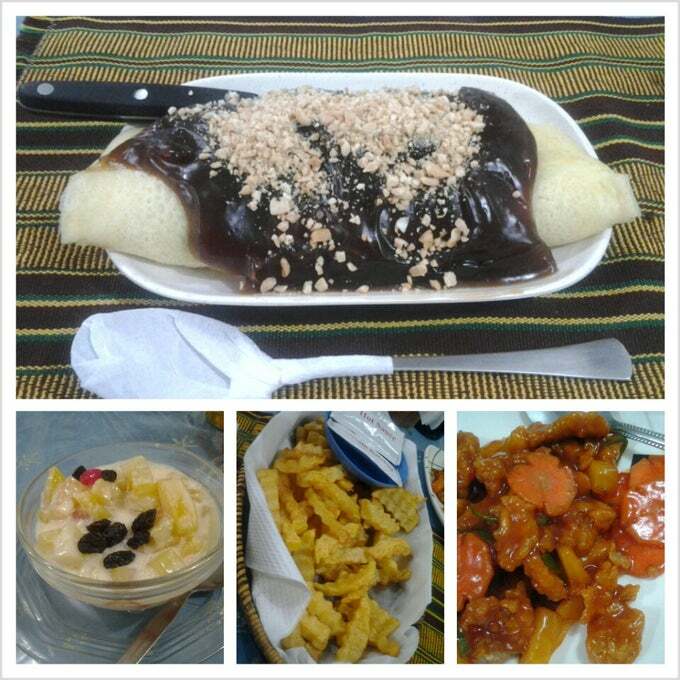 There are few restaurants in Bontoc, and the best ones are inside the hotels. We stayed in a clean room with a queen size bed, TV with Cable, electric fan, and hot & cold shower. The Department of Tourism categorized Archog's Hotel as a Tourist Inn. 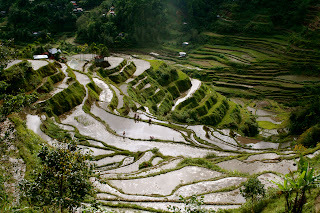 I fell in love with the slower life of Bontoc as compared to the crazy hustle-bustle of the city. I love walking out of our hotel and staring at the mountains, and the fresh cooler air was just perfect. To top it all off, the fresh vegetables I got to eat for four meals were delicious. I dread the 12-hour bus ride going to and back from Bontoc to Manila, but it's all worth it. Our way back from Bontoc to Manila through Baguio City was a bit less fancy. We rode the 9 AM bus going to Baguio already and had to ride a Dagupan Bus Liner instead of Victory. It was such a tiring ride home. Overall, I had fun during the training and met terrific teachers. 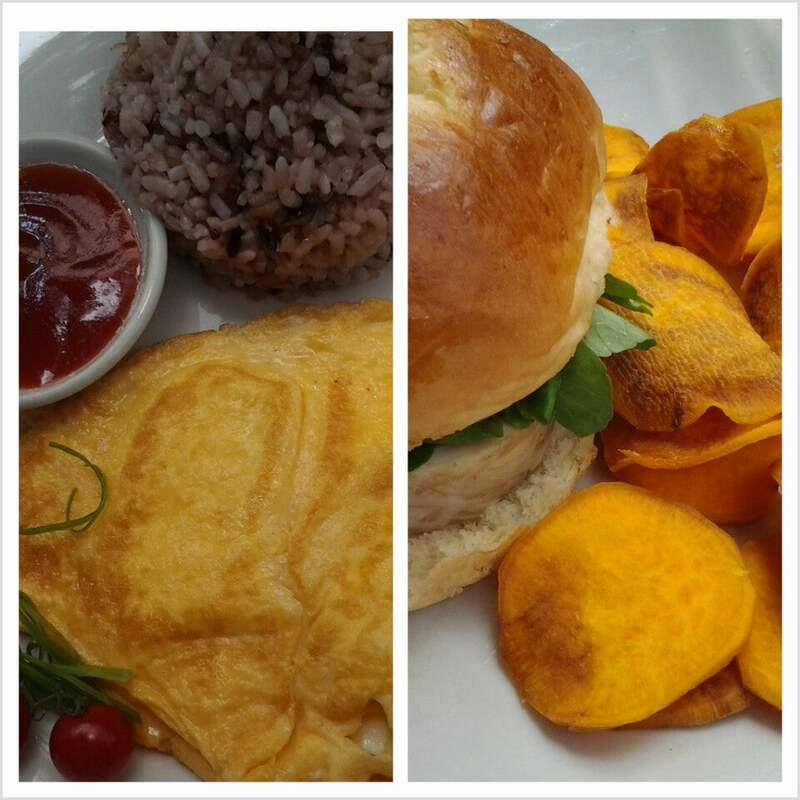 I ate healthy fresh food and had a feel of the slow life on the mountainside. 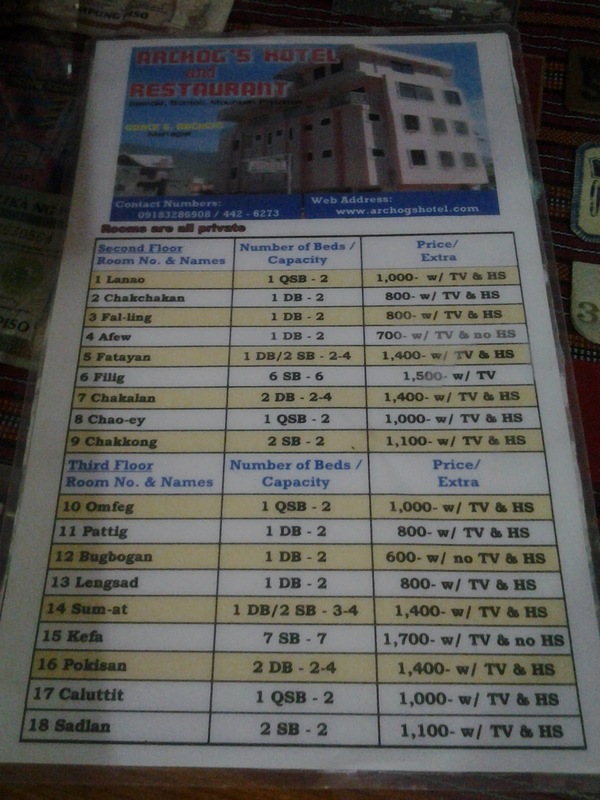 For traveller's reference, here's the room price list of Archog's Hotel and Restaurant.